Danielle Runnion in front of the Boys and Girls Club. Any time certain words confound Dorothy as she reads, the kindergartener at the Wells Boys and Girls Club knows who to call. Dorothy is among more than 50 enrolled students, ranging from kindergarten to sixth grade, who attend the popular after-school program. 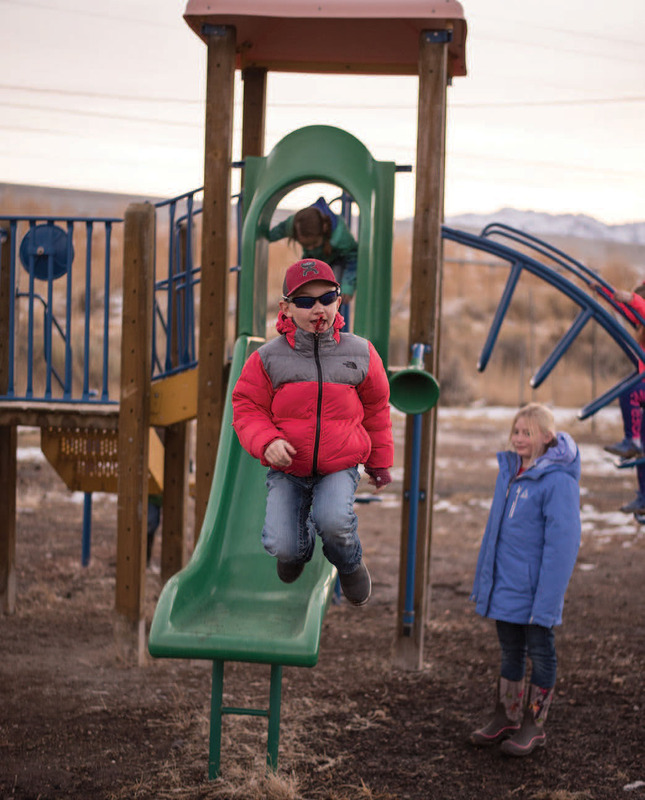 “Different kids come on different days, and I average around 28 a day,” Danielle says. The club’s mission is to enable young people to reach their full potential. The curriculum focuses on education and career development, science, technology, engineering, math, character and leadership development, health and life skills, sports, fitness and recreation, and fine art. 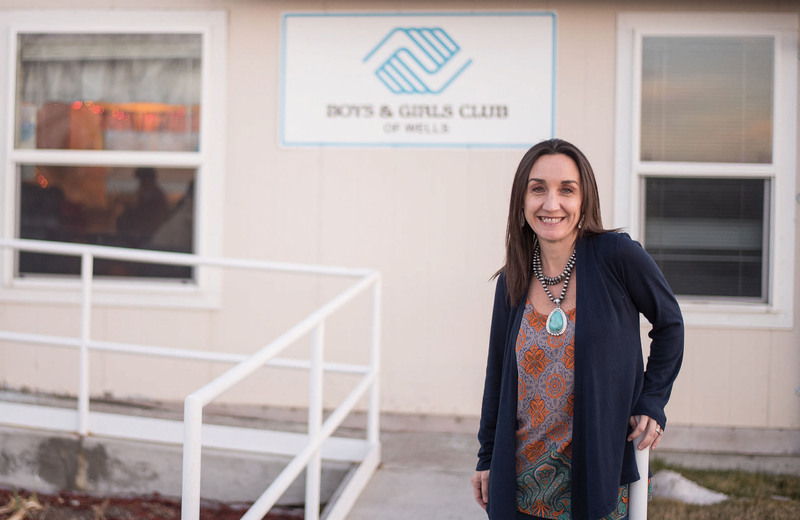 The club opened in 2014 in a small city-owned building several blocks from the Wells Combined School. Since then, membership has grown substantially, and the club needs more space to accommodate the community’s needs. “We have kids on a waiting list,” Danielle says. With a $1.8 million grant from the William N. Pennington Foundation, the club’s 1,200-square-foot modular building will be enlarged to accommodate 75 students daily. To show support for the expansion, the Wells City Council voted unanimously last year to donate the building that houses the club. “It’s such a blessing to work with these kids and see them progress academically, make friends and become more physically fit,” Danielle says. As a community partner, Wells Rural Electric Co. pays the salary of a teacher’s aide, and Wells Combined School buses kids to the club. The new building will have a gymnasium, commercial kitchen, lobby, classrooms and bathrooms. It will have an occupant capacity of 200 and will be available for community events. The current building will become an art room, administrative office and computer center. After the new building is completed in spring, enrollment will be open to all grade levels up to high school seniors. “We want to help high school students accomplish the steps they need to get on the career path they choose,” Danielle says. Jeff Remington is a UPS driver and chairman of the club’s board of directors. He has two children enrolled in the after-school program and says he understands how challenging it can be to balance work and home life and make sure kids get the academic support they need. 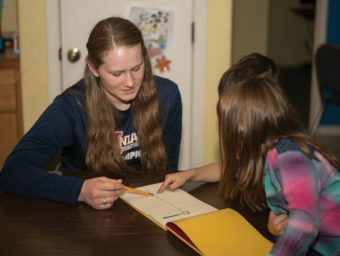 Teacher’s aide Camberlin Uhlig helps children with their homework. Danielle says she is committed to the club and her community for the long term. She and her husband, Bryan, have decided to settle in Wells. Bryan was hired at Graymont, a local limestone plant, and Danielle became the club’s director in August 2017. She and Bryan bought some land in February 2018 and moved into their new home in July. 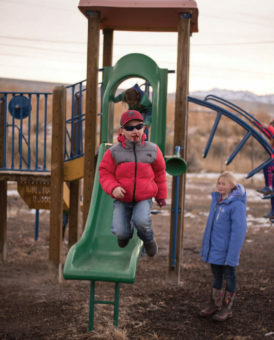 Danielle, who also works as a substitute teacher in Wells, says her children, Colter, 9, and Cassidy, 7, look forward to attending the after-school program. For information, call 775-752-2949. Students are charged a $50 yearly membership fee, $50 for the school year and $50 for full-time summer. A $5 fee per member is charged on Fridays when the club is open 8:30 a.m. to 5:30 p.m. during four-day school weeks. Donations may be sent to P.O. Box 2114, Elko, Nevada, 89803 with a notation that the gift is for the Wells club. The Wells Boys and Girls Club needs furnishings for its new building and is looking to the community for support. The club’s annual Country Romance fundraiser is scheduled for Saturday, February 16, at the Te-Moak Tribe’s gymnasium, 2012 Doza Ave., from 5:30 to 11 p.m. The event will feature a tri-tip dinner, silent and live auctions, and a country-rock band. Admission is $50 per person or $375 for a table for eight.